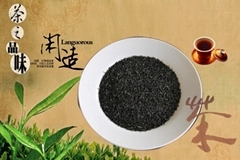 Henan Province Xinyang Lu's Tea Group, which covers an area of 133,400 square meters, was established in 1996. It is a large-scale modernized enterprise group that engaged in tea planting, tea purchasing, tea processing and tea packing. 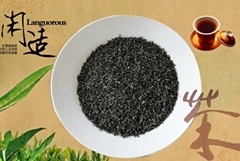 Our company is the biggest enterprise in processing and exporting of Chun Mee green tea in China. There are over 500 employees in our company. We've set up 26 junior processing factories in the tea-growing areas and 3733 hektares organic tea plantation were built in the Dabie Mountains, supplying tea raw materials for us. 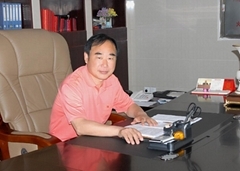 The annual production capacity of our company is 35,000 tons and the annual output value reaches 500 million yuan. We are authorized to export independently, and our products are sold in over 20 countries and regions such as Africa, Central Asia and Hongkong etc. Our company has passed ISO9001 international quality management system certification, QS certification, GAP certification. 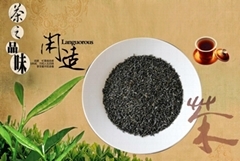 It is a key enterprise of tea export in China, ranking among the top 100 well-known enterprise in the tea industry in China in 2009. We carried out the "company+base+farmers" model, 26 junior factories were built in the base for tea purchasing and junior processing, about 160,000 tons fresh tea-leaves were processed for exporting every year. We made full use of the tea source through the establishment of junior factories. 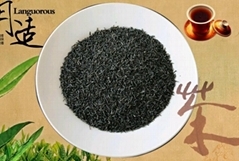 It also can greatly increase the tea farmers' income and promote the development of tea industry of Xinyang. We never forgot our social responsibilities while seeking for economic benefits. Over the past few years, we have donated 5 million yuan to the public-benifit career. Facing the future, we will place the tea farmers' interests in the first place and do our best to make Lu's Tea known to the whole world.